Compliance testing and quick screening of non-metallic samples. Video-camera for exact sample positioning and documentation of measured spot. 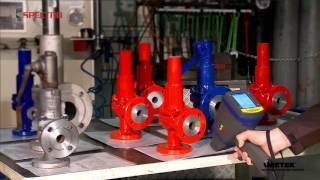 SPECTRO xSORT spectrometers are used in the plant, on the jobsite, or in the most challenging field location. They deliver laboratory-quality results in a matter of seconds. SPECTRO xSORT models are optimized for fatigue-free, on-site measurements. A focus on long-term reliability is evident in every facet of their design. Example: its shutter and unique iCAL standardization system allow SPECTRO xSORT to continuously correct for drift — eliminating the need for tedious annual recalibration! With its top-of-the-line silicon drift detector (SDD), this model provides reliable, high-productivity measurement and analysis. Get metal grade analysis in only 2 seconds for most alloys, and identify alloys based on light elements such as aluminum, magnesium, silicon, phosphorus, and sulfur in 7 seconds. It’s ideal for scrap metals sorting, positive material identification (PMI), and more! When SPECTRO xSORT NonAlloy is used as an XRF RoHS tester, operators don’t need to mess with methods or bother with flushes or vacuum systems. As a RoHS tester, it can compare results with stored limit values as ABOVE LIMIT, BELOW LIMIT or INCONCLUSIVE. For more complex matrices such as in environmental screening, SPECTRO xSORT achieves very low detection limits without the need for complex sample preparation. 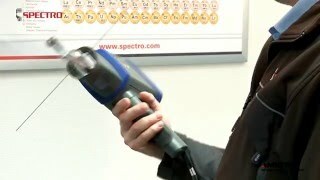 Watch video demonstrations of the SPECTRO xSORT – or click here to switch to SPECTRO on YouTube.com. For quality control and production managers of metalworking manufacturers, small parts can present a real challenge. Customers — particularly in aerospace, automotive, and other critical industries and applications — demand tight QC at every step of the supply chain. So every part must meet every specification, all along the line. However, metal wires, rods, or screws and other fasteners less than approximately 6 centimeters (2.3 inches) in their greatest dimension, as well as thin metal plates or sheets, are notoriously hard to analyze. Many analyzers are not well-suited to the task. That can lead to real problems when it comes to these safety-related components — including regulatory penalties, reworking of parts, finished product recalls, or even more catastrophic consequences. However, new generations of analyzers can offer better solutions. For instance, two advanced devices from SPECTRO Analytical Instruments — the SPECTROMAXs arc/spark optical emission spectrometry (OES) stationary metal analyzer, and the xSORT energy-dispersive X-ray fluorescence (ED-XRF) handheld analyzer — are designed to cope with various challenges that small parts or thin sheets present. Download this informative paper to survey the benefits and drawbacks of existing approaches. And determine the analytical solution that offers the best answer for your small-parts testing. This paper covers the use of a handheld energy-dispersive X-ray fluorescence (ED-XRF) spectrometer to analyze elements in varying recycling samples — even those incorporating the difficult-to measure light elements aluminum, magnesium, and silicon. With improved light element performance plus easy calibration, flexible ease of use, high productivity, and a large metals database, it proved a powerful analytical tool for aluminum alloy recycling. This paper covers the use of a handheld X-ray fluorescence (XRF) analyzer to nondestructively analyze elements in varying steel samples — including the difficult-to-measure light element silicon, as well as low levels of chromium. With improved performance for both light and heavy elements plus easy calibration, flexible ease of use, high productivity, and a large metals database, it proved a powerful analytical tool for a wide range of PMI tasks. XRF-50: Analysis of Contaminated Soil and Waste Excitation of the fluorescence radiation in the sample by an X-ray tube has been optimized so that extremely short measuring times with a high sample throughput are possible. Specially developed detector technology, based on SDD, enables high signal throughput at high resolution; providing unique analytical flexibility. 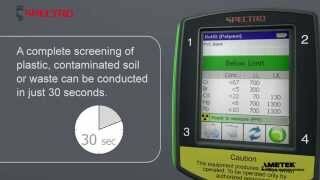 Thus, only with the SPECTRO xSORT it is possible to conduct laboratory-like analyses of all of the important elements for the examination of contaminated soil and waste. Normally, an analysis is complete within 30 seconds. XRF-52: Analysis of Ores, Concentrates and Tailings with SPECTRO xSORT XRF-52: Analysis of Ores, Concentrates and Tailings with SPECTRO xSORT Excitation of the fluorescence radiation in the sample by an X-ray tube has been optimized so that shortest measuring times and high throughput are possible. Specially developed detector technology, based on SDD, enables up to 10 times faster signal processing than conventional instruments; providing unique analytical flexibility. Normally, the analysis of an ore, a concentrate or a tailings is complete within 30 seconds. This report describes the strengths of the SPECTRO xSORT based on the analysis of widely varying samples from ore winning and processing. XRF-53: Analysis of solid metal samples using SPECTRO xSORT non-alloy The excitation using a miniaturized low power X-ray tube is optimized to realize short measurement times at maximum impulse throughput. Specially developed detector technology based on SDD, enable up to 10 times higher signal throughput than conventional instruments; allowing for a unique analytical flexibility and a considerably accelerated signal processing. This report describes the analytical performance of the SPECTRO xSORT in the non-alloy version for the analysis of solid metal samples. XRF-57: Analysis of FeCr-Powder with SPECTRO xSORT The excitation using a miniaturized low power X-ray tube is optimized to realize short measurement times at maximum impulse throughput. Specially developed detector technology, based on SDD, enables up to 10 times faster signal processing than conventional instruments; providing unique analytical flexibility. This report describes the analysis of FeCr powders which were analyzed in cups without any additional sample preparation. XRF-58: Screening analysis of Rh, Pd, and Pt in used automobile catalytic converters with SPECTRO xSORT XRF-58: Screening analysis of Rh, Pd, and Pt in used automobile catalytic converters with SPECTRO xSORT The excitation using a miniaturized low power X-ray tube is optimized to realize short measurement times at maximum impulse throughput. Specially developed detector technology based on SDD, enable up to 10 times higher signal throughput than conventional instruments; allowing for a unique analytical flexibility and a considerably accelerated signal processing. This report describes the analytical performance of the SPECTRO xSORT in the non-alloy version for the analysis of Rh, Pd, and Pt in used automobile catalysts. XRF-70: Analysis of Solid Metal Samples Excitation of the fluorescence radiation in the sample by an X-ray tube has been optimized so that extremely short measuring times with a high sample throughput are possible. Specially developed detector technology, based on SDD, enables high signal throughput at high resolution; allowing for a unique analytical flexibility and a considerably accelerated signal processing. With the SPECTRO xSORT it is possible to conduct laboratory-like analyses in a single measuring cycle that lasts only 2 seconds, except for the light elements Mg, Al, Si, P and S they require a longer measurement time. Only 10 additional seconds are necessary for the sorting of various aluminum and magnesium alloys. 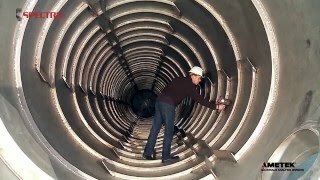 During this process even the light elements Al, Mg, Si, P and S are measured in air – without complicated additional techniques like helium flushing or vacuum, simplifying operation decidedly. The analysis screen supplies the operator with all of the necessary information at a single glance and can display the measurement result in different views - also during measurement. The analytical results are stored and can be displayed later, printed and, after transfer to an external computer, processed with the “Result Manager” software. XRF-71: RoHS Compliance & Lead Screening Excitation of the fluorescence radiation in the sample by an X-ray tube has been optimized so that extremely short measuring times with a high sample throughput are possible. Specially developed detector technology, based on SDD, enables high signal throughput at high resolution; providing unique analytical flexibility. Only with the SPECTRO xSORT it is possible to conduct laboratory-like analyses of all important elements for RoHS or lead screening. Normally, an analysis is complete within 30 seconds. This report describes the strengths of the SPECTRO xSORT using the analytical results from different samples from polymers to alloys. XRF-72: Analysis of Ores, Concentrates and Tailings Excitation of the fluorescence radiation in the sample by an Xray tube has been optimized so that extremely short measuring times with a high sample throughput are possible. Specially developed detector technology, based on SDD, enables high signal throughput at high resolution; Normally, the analysis of an ore, a concentrate or tailings is complete within 30 seconds. This report describes the strengths of the SPECTRO xSORT based on the analysis of widely varying samples from ore winning and processing. XRF-73: Analysis of Rock, Sediment and Soil (SPECTRO xSORT) Excitation of the fluorescence radiation in the sample by an X-ray tube has been optimized so that extremely short measuring times with a high sample throughput are possible. Specially developed detector technology based on SDD allows unique analytical flexibility. With the SPECTRO xSORT it is possible to conduct laboratory-like analyses for all the important elements during analysis of rock, sediment and soil. The installed processing and calibration modules ensure accuracies typical for SPECTRO’s laboratory XRF instruments, even for the SPECTRO xSORT. An analysis can be conducted within 30 seconds. XRF-74: Analysis of Ti on Aluminum sheets with SPECTRO xSORT Excitation of the fluorescence radiation in the sample by an X-ray tube has been optimized so that extremely short measuring times with a high sample throughput are possible. Specially developed detector technology, based on SDD, enables high signal throughput at high resolution; allowing for a unique analytical flexibility and a considerably accelerated signal processing. Besides the analysis of bulk samples the same analyzer also can be used to determine the coat weight of coating on aluminum or steel sheets. This report describes the measurement of Ti coat weight on aluminum sheets. Click on the link below to further explore the SPECTRO xSORT.